But they wouldn’t load on Windows 7. 1. 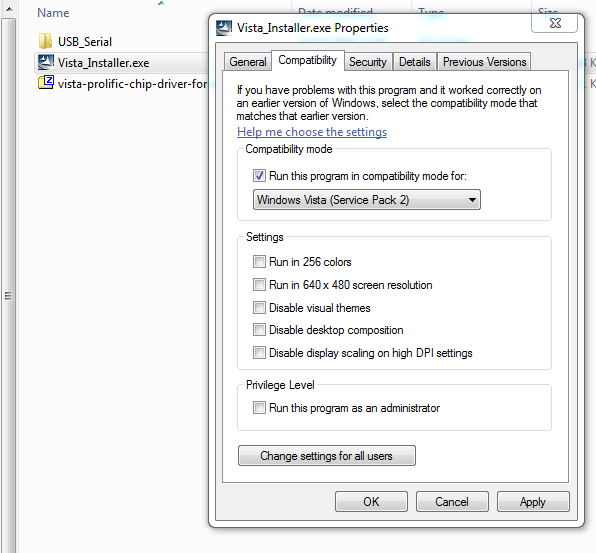 Run the same drivers above, but in compatibility mode for Vista. Right Click the Installer > Properties > Compatibility > Tick “Run this program in comparability mode for” > Select Windows Vista (Service Pack 2) > Apply > OK.